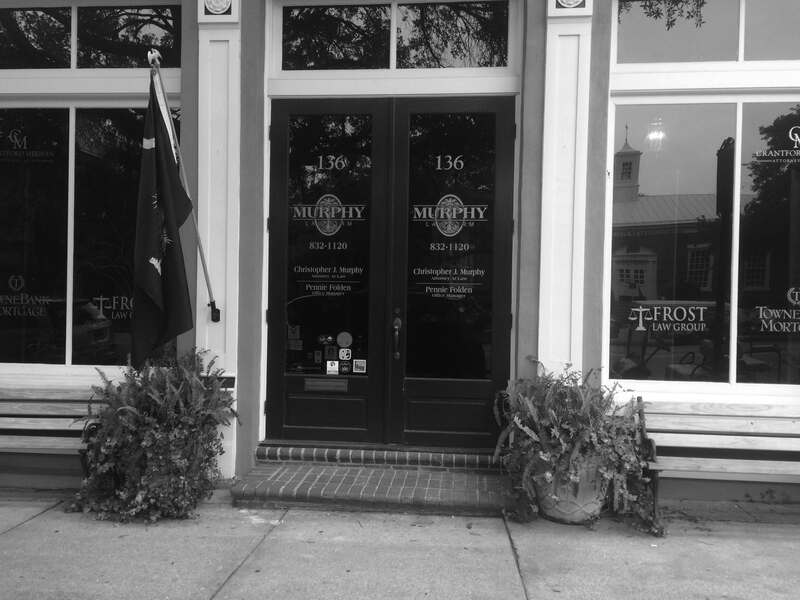 Murphy Law Firm, LLC is a full service law firm located in Dorchester County, South Carolina-the fastest growing county in South Carolina and 33rd fastest growing county in the United States. 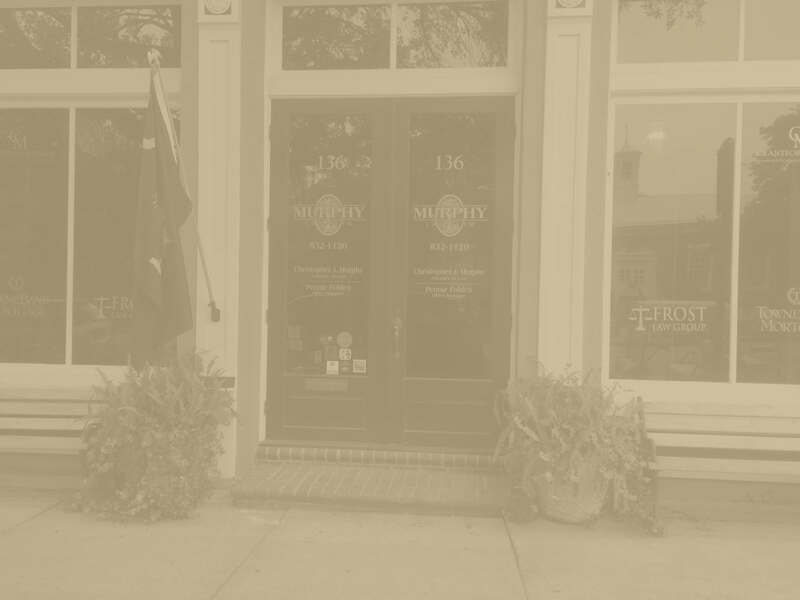 With our office located in Summerville, Murphy Law Firm is conveniently located between I-95 and I-26 and Charleston to provide complete legal representation for its clients in the entire South Carolina Lowcountry region. The Summerville office is located in the heart of Summerville's business district with convenient access to both Summerville Municipal Court and Dorchester County Magistrate's and Family Court. 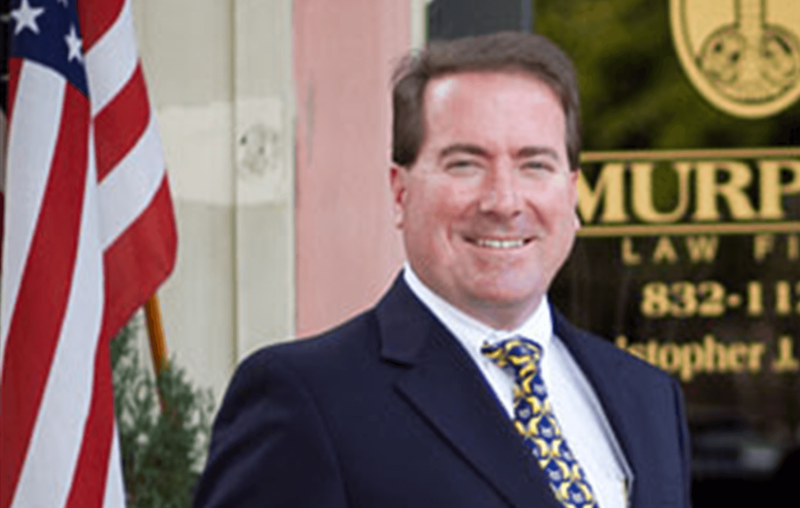 In addition to Chris Murphy, Murphy Law Firm, LLC is supported by highly skilled paralegals and support staff. Being a small office, the service is personalized and attentive to your needs. We maintain a personal, family-like atmosphere who genuinely care and are compassionate towards every client facing difficult times. We pride ourselves on our outstanding client service. The moment you walk through our door, you will find a comfortable environment and a caring staff committed to helping you resolve your legal problems. You can trust that your legal needs will be understood and that an experienced, competent team follows up and follows through until the optimal resolution of your case. Pennie has been a part of Murphy Law Firm team since February 2005. She facilitates the day to day operations of the law firm, supervising support staff, developing and implementing office initiatives and assuring that the office runs smoothly and everyone is happy! Prior to her joining the law firm, she began her career in the legal field in November of 1998 at the First Circuit Solicitor's Office where she worked as a victims advocate. Pennie graduated from Pinewood Preparatory School in 1997 and married her high school sweetheart, Dennis Folden. They have two sons, Wesley and Walker. Jeana brings over 13 years of Family Law experience to the Murphy Law Firm team. She has the rewarding task of working with clients going through difficult marital disputes and resolving matters involving the contested custody, visitation, and/or paternity of their children. She handles her job with grace and her efforts directly impact each client's life in immeasurable ways. Prior to Jeana joining the Murphy Law Firm team she was employed by Retired Family Court Judge Al Biggs. Jeana's impeccable knowledge of the law is a huge asset to the firm. Jeana graduated from Trident Technical College in 2000 with an Associate's Degree in Domestic Relations. Jeana has two children, Coda and Maggie. Tori joined the Murphy Law Firm team in November of 2011. She graduated from Stratford High School in 2007 and is a graduate of Trident Technical College with an Associate's Degree in Applied Science with a Certificate in Paralegal Studies. Tori is married to Sgt. Antonio Gantt, Sr. of the Summerville Police Department. They have one daughter, Emmalyn Olivia.